Pass the bass, it’s Evil Blizzard! When it comes to live entertainment, arthouse shockers Evil Blizzard are in a class of their own, offering a truly theatrical experience, though not one for the faint-hearted. 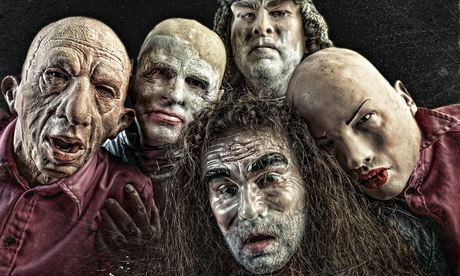 It’s difficult to explain what they’re all about, but the fact that this alarming six-piece features four bass players and a singing drummer – all scarily masked, with at least two known to wear pink boiler-suits – and are joined on stage by a pig-faced dancer, might give you a few visual clues. They’re loud too, loud and heavy, and on their last visit to the Ferret in their home city of Preston, Lancashire, all hell broke loose when the fire alarms went off, most punters thinking it all part of the set. But the Blizz were set to return to the same venue on Saturday, May 10, just the latest in a long line of sell-out performances. And performance is an under-statement. The band promise far more than just arresting visuals, their debut LP The Dangers of Evil Blizzard receiving rave reviews and plenty of hype from influential quarters. Last year it emerged that actors Dominic Brunt and Jeff Hordley, better known as Emmerdale’s Paddy Kirk and Cain Dingle, were fans, following the lead of The Fall mastermind Mark E Smith, who has employed them as a support act. Then there are reports of members of Hawkwind and Southern Death Cult following them, and the invaluable support of Manchester-based music journalist John Robb, founder member of seminal Blackpool punk band The Membranes. What’s more, Goldblade front-man Robb has released their eight-track debut album on his Louder Than War label, while generally going out of his way to sing their praises. I asked Mark Whiteside, a civil servant in downtown Preston by day, and Evil Blizzard’s singing drummer Side by night, just what the fuss was all about. “We’ve had several people championing us, but since last year things have progressed, with the album out, reviews coming in, and radio stations playing us. “John Robb has done a lot for the band, and I don’t think we’d be where we are now without Mark E. Smith – who gave us a bigger audience – and him. Most of the live reviews have similar reference points, using phrases like ‘jaw-dropping’ and ‘performance art’, describing ‘psychedelic’ and ‘kraut rock’ elements, and comparing the Blizz to the likes of Hawkwind and Public Image Limited. “I’d say they’re all pretty accurate. Having four bass players has that theatrical theme, and we are unlike most bands around. “People tend to say they’ve never seen anything like it. The imagery does tend to attract people, and sometimes the stage-show gets reviewed more than the music. The band describe their sound on their social media pages as ‘Double Doom’. Quite an effect really, and that’s without even mentioning the guy with the pig’s head. “Well, we don’t think we sound like anybody. 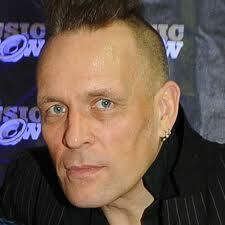 John Robb said there’s no band that sound like Evil Blizzard, and that’s good to know. 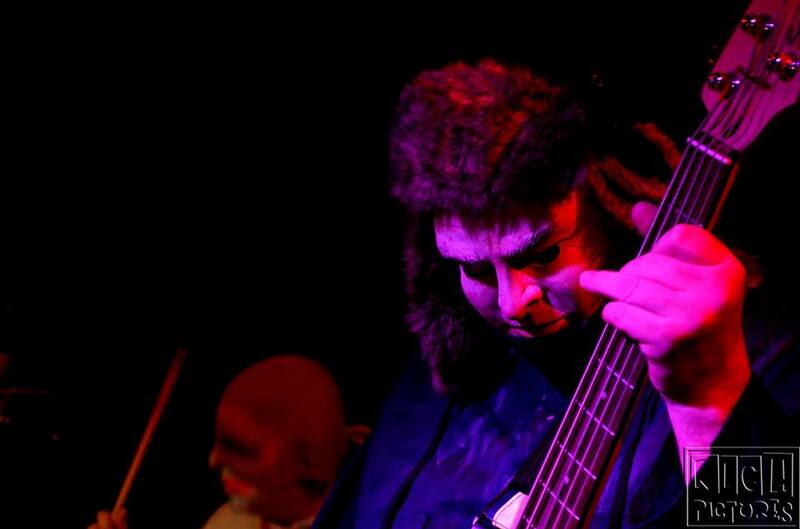 “We’re a five-piece musically, with the bass players, myself, and our sixth member, Blizz Pig, who I see more as the winder-upper – a pig jester getting people involved. 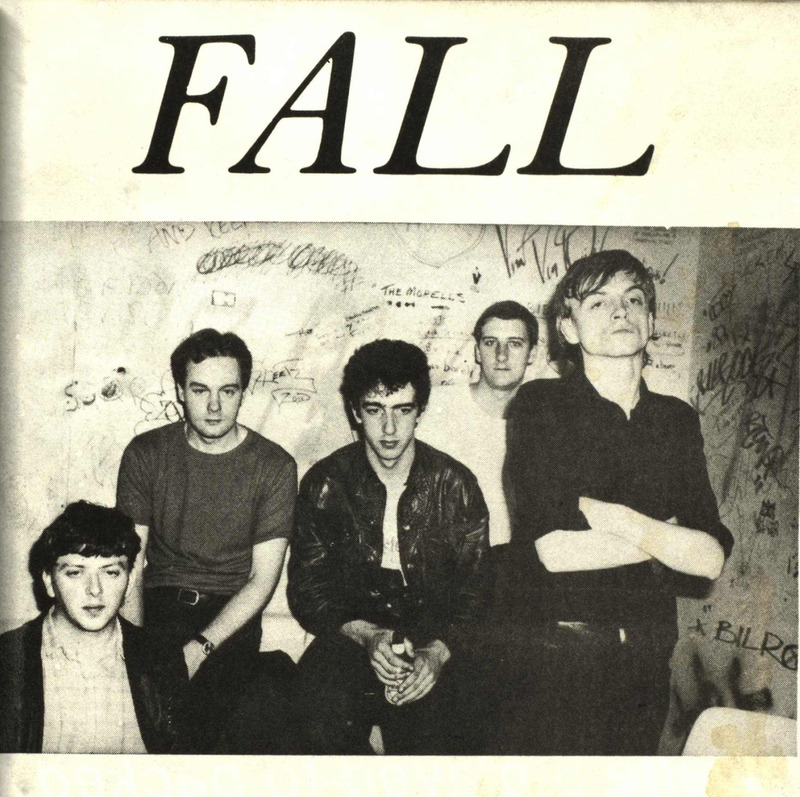 The album was recorded by Andy Gibbon at Manchester’s Sunshine Studios, an indirect result of that link with The Fall. And word has it that The Dangers of Evil Blizzard was put down in just five hours, but then took more than five months to mix. Style-wise, I can hear Public Image Ltd, while others have mentioned Black Sabbath. 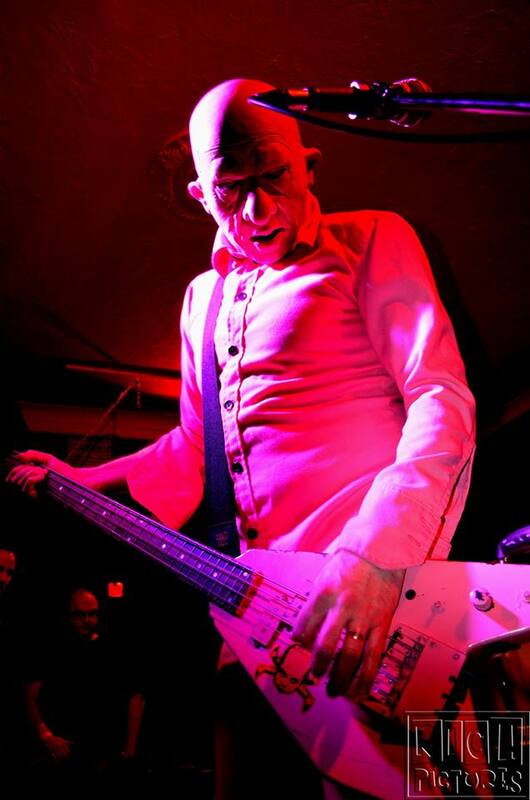 “Vocally there’s a bit of John Lydon and Ozzy Osborne, that kind of sound. But that’s just how I sing. Paddy Pants: Emmerdale actor Dominic Brunt takes exception at writewyattuk asking what Seth Armstrong would have made of Evil Blizzard? The sound and visuals certainly inspired Dominic Brunt, the afore-mentioned actor – also an independent movie-maker – set to film them for a promo project. Then there were pieces in Classic Rock and various on-line publications, with more to follow in Q and Prog Rock, while the G2 piece has led to some gigs coming up with Sleaford Mods, who were also featured. The album is also on garish pink vinyl, with rather arresting mutant baby artwork by Hamburg’s Arne Wald, another fan of the band. 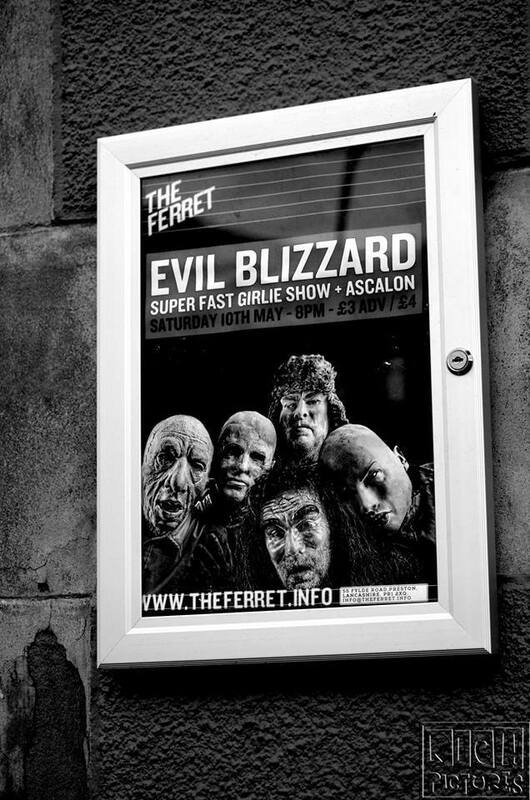 Evil Blizzard have received a lot of radio airplay too, including support from BBC Radio 6’s Gideon Coe, BBC Radio 2’s Janice Long, and Planet Rock. In fact, the band members are having the kind of success none of their past projects really enjoyed, despite a degree of indie kudos for Dreamland, Furburger and Baboon. “We’ve all been in bands before, some fairly successful, but nothing on this scale. But it’s more about art than just being a band this time. “I think there’s dissatisfaction with the music scene. The majority of stuff you see on telly is pretty bland. People are looking elsewhere to find something more interesting – underground bands, festivals and websites. The band has take on community projects in their home city too, like the Cinema around the Corner initiative last year, performing on the Harris Steps to a silent horror film backdrop. 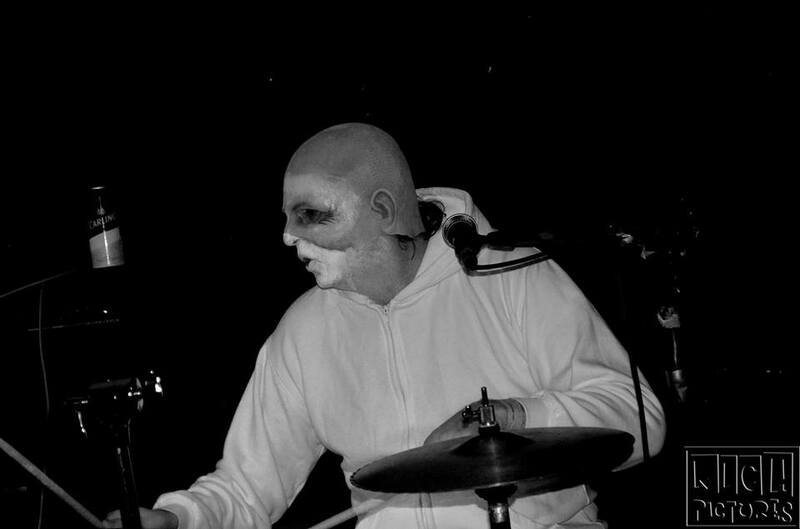 So how many of Mark’s work colleagues realise he becomes singing/drummer Side by night? Did they always have the masks? “We played unmasked when we first started, but over time developed the theatrical side. “Some grown-ups have been known to shy away from the masks, whereas kids seem to accept it. But to appeal to a younger audience is good. Will pink boiler-suits and pigs’ heads be this year’s fashion musts? The band’s summer highlights are also set to include a trip to London for Islington’s Lexington on May 29, Kendal Calling on August 1 and Blackpool’s Rebellion Festival on August 7. But first, it’s that Ferret return. So what exactly did happen last time? “I think it was down to the fact that we had a lot of smoke from the stage, that seemed to trigger the fire alarm. 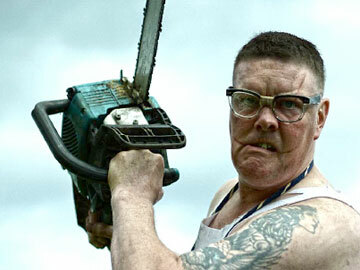 Or someone hit it. We don’t know, but most people thought it was just part of the show. And will it be pretty loud? This is a revised edition of a Malcolm Wyatt feature published in the Lancashire Evening Post on May 8. For the original, head here. This entry was posted in Music and tagged Arne Wald, Black Sabbath, Dominic Brunt, Emmerdale, Evil Blizzard, Jeff Hordley, John Lydon, John Robb, Mark E Smith, Membranes, Preston, The Dangers of Evil Blizzard, The Fall. Bookmark the permalink. 2 Responses to Pass the bass, it’s Evil Blizzard! I’m becoming a bigger fan of these guys everyday thanks to their STUPID PEOPLE video. That song is so heavy, and my favorite part of the songs “are no cheesy lead guitar mumbo jumbo”. That says a lot coming from a guitarist/bassist/drummer myself. 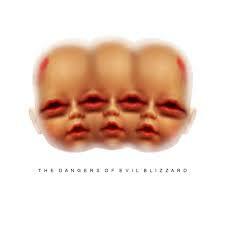 Thanks EVIL BLIZZARD, a big hello from the U.S. and hope to see you guys tour over here real soon. Take a couple of strings off that guitar and don a mask and you may even get a chance to guest when they cross the pond, Brian.